The 2017-18 school year begins tomorrow (Tuesday) and I could not be more excited! The beginning of the school year brings hope in people: students, parents, and school staff. 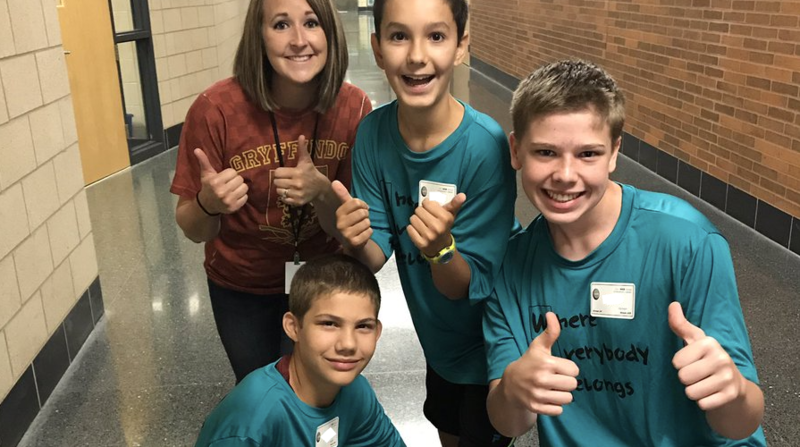 For students, it might be the hope of seeing their friends, making new ones, and the excitement that learning inspires. For parents, it might be the hope of watching their child grow, mature, or achieve a breakthrough. For some parents and students, they recognize a new year can bring the chance for a ‘fresh start.’ For school staff, we hope to make a difference in the lives of our students and families. We want to contribute and help move our community forward. All the things listed above are about people and curiosity. Education is a “people business” and our success usually begins and ends with positive relationships. We want to engage our students’ curiosity. We want to inspire them to actively think, reflect, and create. We want them to grow and mature. Positive relationships are the raw material that support curiosity and fuel growth. We also want them to learn about perseverance. A positive outlook on day-to-day life is essential. However, we also cannot be naive enough to think challenges will not arise. It is important for us, as adults, not to “steal the struggle” from our kids. Learning how to deal with friendship issues, difficult school subject matter content, misunderstandings, disappointments, and disagreements are essential for growth. This doesn’t mean we ignore their “struggle” but that we provide them with the room and guidance to learn from the experience and how to persevere in an age-appropriate way. The 2017-18 school year will be excellent. It will include many celebrations and more than a few challenges. It will include the exciting and the mundane. In June, my hope is we look back and say to ourselves that we are all (students, parents, staff, community) are better than we were in September. Enjoy a great start to the school year!